S/4HANA is SAP’s new Enterprise Resource Planning solution (ERP) replacing SAP ERP (the existing product and the processes it supports share a name) and is the latest incarnation in the series of ERP products whose genealogy stretches back to 1971 and the release of SAP R1. Unlike previous versions of the Enterprise Resource Planning Software (R1 – ERP), S/4HANA is available both as a traditional on premise version and a SaaS based public cloud option called S/4HANA Cloud. S/4HANA Cloud is a streamlined SaaS version of S/4HANA on premise and features a quarterly mandatory update cycle. S/4HANA Cloud is currently seen as the strategic product both in the evolution of Enterprise Resource Planning products and for SAP themselves. S/4HANA both enhances, consolidates and simplifies functionality available in the current ERP solution. Enhancements include the leveraging of underlying HANA technology in areas such as geospatial and machine learning whilst improving speed of processing through the optimisation of interactions with the underlying HANA Database. S/4HANA also contains a rationalisation of the functionality available in ERP. The level of rationalisation is depended on the version of S/4HANA selected. In S/4HANA ‘On Premise’ certain transactions have been removed (principally when two parallel ways of processing) existed and certain functionality has been omitted all together (for example Warehouse Management). Within S/4HANA Cloud the simplification has gone much further with effectively the functionality available equating to existing SAP best practice. 2. Who are the competition? As S/4HANA is effectively two separate products (on premise and SaaS) they have distinct competitors. Competition for the on premise solution comes from traditional sources such as Oracle (E-Business Suite and JD Edwards) and Microsoft (Dynamics – AX, GP, NAV). S/4HANA Cloud is likely to face completion from ‘born digital’ solutions such as NetSuite (ERP and OneWorld – now owned by Oracle) and Salesforce (FinancialForce). 3. Do I need to already run HANA to move to S/4? Unlike previous versions of the SAP ERP Software S/4HANA is database specific, meaning that it will only run on the SAP HANA platform. If you are looking to run S/4HANA Cloud then although this does run on HANA this effectively is a black box which is managed and maintained by SAP. Some confusion exists between S/4HANA cloud on premise edition and Business Suite on HANA. S/4HANA is a new application whereas Business Suite on HANA is the porting of the legacy ERP solution to run on the HANA database. 4. What deployment options are available? Deployment options depend on the version of S/4HANA you are considering. Options for the on premise version include ‘System Conversion’ (conceptually – although not commercially - to be viewed as an upgrade), ‘New Implementation’ (as the name suggests this is a brand new instance of S/4HANA into which you migrate data, configuration, localisations etc.) and ‘Landscape Transformation’ which is effectively the ‘piece meal’ migration of parts of an existing solution to S/4HANA. Transitions to S/4HANA Cloud include the ‘New Implementation’ and ‘Landscape Transformation’ options but not the System Conversion option. 5. What would the implementation look and feel like? The look and feel of an implementation of S/4HANA depends on a number of factors. Principally the type of implementation, the complexity of the system being migrated and the strategic goal of the project. For example, a system conversion implementation can be viewed at a simplistic level as a technical exercise and can potentially be performed with limited user involvement or business disruption. However, a new implementation where the aim of the project is to re-invent, consolidate or standardise business processes while cleansing and rationalising data is a significantly different project with the requirement for a significantly different skill set. In the latter project far more involvement is needed from functional, business and data experts as this type of project should be viewed as a holistic business transformation project (albeit lead by a change in technology) rather than simply a technical or IT exercise. 6. 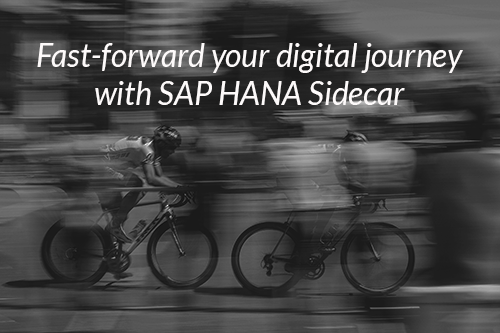 What is the product roadmap for SAP S/4 HANA? The product roadmap for both S/4HANA on premise and S/4HANA Cloud can be found via this link. 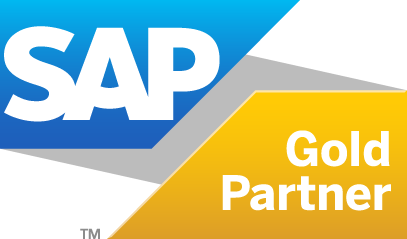 (note this link is available to SAP Customers and Partners only). Highlights of the product vision S/4HANA (at the time of writing) include incorporating emerging technologies and trends such as Machine learning, digital assistant, Intelligent Services and Block Chain. Whilst containing more specific information pertaining to functional enhancements within specific Lines of business and Industries to be included in the next annual innovation cycle (1709) due in September 2017 for the on premise version and within the next 4 quarterly releases of S/4HANA Cloud. 7. How does SAP S/4HANA relate to SAP’s existing portfolio of cloud solutions? With the advent of SAP S/4HANA Cloud, SAP now have a complete range of SaaS based solutions for a broad enterprise. Whether considering the on premise version or the SaaS model S/4HANA has been designed to interface with Ariba, Concur, SuccessFactors and Hybris and future enhancements will continue to cement the relationship. Note should also be made here of SCP (SAP Cloud Platform – Formally known as HCP – HANA Cloud Platform) which is to be viewed as the strategic ‘glue’ and extensibility platform that further integrates these previously disparate solutions. 8. What happens to our legacy systems when you move to S/4 HANA? What happens to legacy systems when migrating to S/4HANA depends on the deployment option chosen. For example, implementations that follow a ‘new implementation’ approach effectively leave behind the existing system. What is then done with this system depends largely on the approach that has been taken to data migration and specific company rules around data retention. Some organisations may make the decision to move all required data generally into a combination of S/4HANA and a data warehouse such as Business Warehouse (BW) whilst others will keep the legacy solution available for a period of time for the purpose of historical reporting and ad hoc querying.